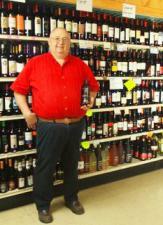 We have over 1,100 different wines at great low prices. We even have an in-store sommalier to help you with your wine selections. Take some time and browse our great selection, or stop in on Friday afternoon weekly from 12:00pm - 6:00pm for a free wine tasting of different wines. Be sure to try something new!